Today's Games - Good Friday! Cancel that medium meltdown, it’s about to go ‘absolutely ****ing mentally massive meltdown’. *adopts best Brian Blessed voice* Right, looks like we're getting no help from Leeds or the Blunts today. It's a beautiful day out there. The sun's shining, it's lovely and warm, the scene is set perfectly. Get out the house, get down the pub or out into the city, savour the day. Be positive, be friendly, be excellent to each other. Drop a few quid in the charity buckets outside the ground (raising money for Mind today, a most worthwhile cause). Cheer the team, no matter who's in it. Don't get on the players' backs the first time they make a mistake, or if we concede an early goal. Let's show the Sky TV cameras once again that we're the best fans in the league - sing louder, prouder and longer than you've sung all season. Trust Farke to get us over the line, don't doubt him. This is our time. OTBC. FFS City just do a win tonight so I can sleep a bit easier. These last couple of games have had me through the mangle. You're an absolute master at deliberately missing the point. It isn't about whether you're on twitter. It is about the fact you've gone after numerous people on this thread for potentially damaging Cantwell, calling them 'hateful', 'a disgrace' and accusing them of 'facilitating a witch hunt' against them. Yet the poster who might actually warrant those descriptions gets a pass because...I don't really know? Only one person on this thread said he 'never wants to see Cantwell starting for us again.' Only one has tagged Cantwell in a message calling him 'god-awful' so the player actually gets to see it. Yet he doesn't get called a disgrace or hateful or anything other than 'clued up' apparently. I like the bit about taking down imagery of achievements of yesteryear, unlike other Clubs that live solely in the past with nothing to look forward to. Special report: The secrets behind the Norwich success story 18 APRIL 2019 • 3:05PM Norwich City are potentially 90 minutes away from clinching promotion to the Premier League and Daniel Farke is sitting in his office, pleading valiantly for calm. He has guided Norwich to the top of the Championship against all the odds and pre-season predictions, and is on the verge of securing a dream finish to this most memorable of seasons. Nearly 12 months after finishing 14th, Norwich will be virtually assured of a place back in the big time on Friday night if they beat Sheffield Wednesday and Sheffield United fail to take three points against Nottingham Forest earlier in the day. “We are in a brilliant position and everyone is allowed to dream, especially the supporters,” says Farke, on a glorious spring afternoon at Colney. “This is the toughest league in the world. So many games, so many big clubs. It’s important that you are not stupid and realise that getting promoted will be life-changing. But we have four more games left to play, we must remain calm and not lose the focus.” It has been a remarkable turnaround, and Norwich’s progress should act as a timely warning to trigger-happy chairmen that sacking the manager is not always the best solution. Introducing new players, fresh ideas and a radical philosophy requires time and patience and, fortunately for Farke, he has found the right environment to flourish since arriving from Borussia Dortmund II. Teemu Pukki is having a brilliant season up front CREDIT: PA Last season the club finished below midtable, losing 16 games, and Stuart Webber, Norwich’s sporting director, admits it was often difficult to remain positive. “At times last year it was really horrible. Everyone was down on what we were doing, and I fully understood that. We weren’t getting anywhere near the results we wanted,” he says. “There were signs of progress but we finished behind our local rivals [Ipswich] for the first time in years. We asked a lot of the fans, and their trust got tested. The board stuck with me and Daniel and we will always be grateful because other clubs would have changed it. “That’s the mistake other clubs make, they are constantly chasing it and patience is a dirty word. But Daniel never wavered in his beliefs and we knew that we needed another transfer window to bring in the type of players we wanted. It’s taken two years of hard work for us to become an overnight success.” Farke-Ball, as it is known, is a fluid 4-3-3 and could not be further away from the high-octane, pressing styles of other German managers such as Jurgen Klopp and David Wagner. It is an approach arguably more reminiscent of Pep Guardiola, with the belief that players will only develop under a certain style. It is perhaps no surprise Farke was a prolific striker in his early years at Lippstadt. Norwich have won 11 of their last 15 games, with only one defeat in the Championship this year. “In order to be successful, everything has to come together,” says Farke, 42. “Last season when I signed the club was in a very difficult situation. We sold some of our best players because of the financial pressure and it is not easy. “A solid finish in mid-table was not too bad. We weren’t involved in a relegation battle and even last season we dominated games but were 24th in shot accuracy. We knew we were close.” Now Norwich could not be closer, and Webber has undoubtedly been one of the other key men in the transformation. A 35-year-old Welshman who counts Liverpool, Wolves and Huddersfield among his former clubs, his impact in Norfolk has been crucial. When he was appointed in April 2017 Norwich’s wage bill was £63m a year, the second highest ever in the Championship behind Newcastle. But the sales of stars including James Maddison (£21m), Alex Pritchard (£11m), Josh Murphy (£10m), Jacob Murphy (£10m) and Jonny Howson (£6m) has now slashed that wage bill to £25m, which still includes five big earners out on loan. Recruitment has been shrewd, with Emi Buendia, a gifted Argentinian attacking midfielder, arguably the stand-out signing at just £1.5m from Getafe. “Buendia is a success story for the whole scouting department, starting with the guys in data who first flagged him up for high statistics in a really underperforming team,” says Webber. “Kieran Scott [head of recruitment] then went to watch him, came back and said he was unbelievable. I then got involved, watched him and then by using my contacts got into Getafe to make the deal happen at a time when they were struggling for money. “It was the perfect jigsaw and everything slotted into place, and that very rarely happens. We literally found him from nowhere. The most interesting part of it is that Buendia was on loan at Cultural Leonesa, who are owned by Leeds. Luckily we got in there under Leeds’ noses.” £1.5m Emi Buendia has proven a particularly successful signing CREDIT: PA There have been many other astute signings: Teemu Pukki has 27 league goals after signing on a free transfer from Brondby, while Marco Stiepermann (£1.2m from Bochum) and goalkeeper Tim Krul (free transfer) have been admirably consistent. Farke and Webber also take special satisfaction with the signing of Tom Trybull, a defensive midfielder from Germany who turned up on trial without a club on Farke’s recommendation. 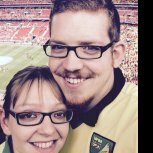 “When I first arrived two years ago I could not have expected Norwich to be in this position, one game away from the Premier League,” says Trybull, 26. “This is amazing and it’s a dream to be part of it. I’ve never known a dressing room like this one. Now all my friends in Germany are big Norwich fans and they are desperate for us to get the points. “We have shown other clubs to trust the boss and the philosophy. We have proved it’s not all about spending loads of money. Maybe other clubs will now change their minds. Norwich has been good for football.” The mood at Norwich’s training ground this week was vibrant, and there is a clear sense of togetherness. Dotted around the offices are inspirational messages on the walls, such as this one from American author Kenneth H. Blanchard: “None of us is as smart as all of us.” Work is well underway on a £5m revamp of their base, with the funds raised by the Canaries Bond, with dressing rooms being built for junior levels down to the under-9s. The academy is also flourishing, underlined by the impressive impact of full-backs Max Aarons and Jamal Lewis in the first-team this season. Midfielder Tom Trybull says his friends back in Germany are now Norwich fans CREDIT: JASON BYE Norwich’s majority shareholders, Delia Smith and her husband Michael Wynn-Jones, are fully in tune with the vision and make regular visits to Colney. Season ticket sales are capped at 22,000. The big question is whether Norwich can finally end their unwanted reputation as a yo-yo club, after dropping out of the Premier League in 2016. Webber has a plan. “If we do go up, we won’t be making knee-jerk decisions. We won’t be signing players for £15m. That has to be the aim, eventually, but we will be looking at Swansea, Burnley and Bournemouth when they first got promoted. “You have to believe that if you create a good environment and culture, with young players and smart recruitment, that you can be successful.” Farke, meanwhile, is only concerned about Friday night and the subject turns to horses as he prepares to leave. The chant of “Farke’s on a horse” has reverberated around Carrow Road in recent weeks and Norwich’s head coach takes up the story. “When I was leaving Lippstadt [in 2015] the chairman decided I had to ride a horse to say goodbye,” he says, laughing. “The stadium was full and I had to keep my nerve. Now the fans here in Norwich have picked up on it and want me to do it again. “The big problem is I was always a bit scared of horses: I would never win the Cheltenham Gold Cup! ” He should not worry - for his legion of admirers, promotion out of the Championship will be more than enough. It's not just about results or the quality on display . Their fans appreciate that their players are all great lads who give everything for that football club and have been brilliant for Lambert who couldn't ask any more of them and then there's the man himself who isn't Mick McCarthy or Paul Hurst and always takes the time to reassure the fans that they are special. They have much to be appreciative of. Let's not also forget that with all those tens of pounds they'll have to spend and the clutch of youngsters coming up from the third tier regional section of youth football to supplement their highly motivated, dogged and determined squad of senior players! They'll be romping L1 next season on their way to back to back promotion to the Premier League for the 2021-22 season. I totally get their optimism, their jubilant celebrations may even eclipse Leeds promotion party and so it should with the bright future they have ahead of them. only few posts from Waccoe! I still believe they can over run Sheffield but if we win today we dont care at all what will happen next 10 days! Just put my son to bed. When I was sure he was asleep, I actually had tears in my eyes. Frustration more than sadness I think but I swear one day this club will finish me off or break me mentally. Suicide seems like a viable solution to me right now. Wigan ruined us but we were appalling. As bad as Hernandez has played in a Leeds shirt, played like a 55yr old. Alioski, Harrison, Klich and Bamford shocking After the game I took the dog for a walk in the countryside, found a nice quiet spot with no one around and let out the loudest **** **** ****. Got the result correct and that there'd be a red card (thought it would have to be to Leeds for Wigan to win), but quite happy with my prediction overall lol. It makes for frightening reading, no one likes to see people out of work, they have families to feed after all. The other side of this is that it has been heading this way for a number of seasons, the debt has been rising for 10 years, while any assets have been sold or hived off to other areas of Evans' business. Lambert's take on it is totally irresponsible, to tell the fans that there's so much to look forward to, that they'll have to fight to get a ticket is just delusional. Evans himself, has gone on record, to say that there will not be any major purchases or money for loans to help the kids who will be thrown in, ready or not because they're cheap. As for the fanbase, such as it is, years of denial, made worse by the constant referral to glories of yesteryear, have seen them clinging to every word spewed by Lambert in the vain hope that things will get better. It hasn't and it will not, but it's there, in black and white, for them to digest , as the fixtures show them at their lowest ebb in 60 years.